Bluebell Falls Goats Cheese is since 2003 a multi award-winning handmade, soft cheese made from goat's milk with a deliciously creamy taste and texture. This 100% Irish product is produced close to Charleville in County Cork, well-known for the production of great tasting cheese. Our goats graze happily outside the door of the milking parlour and cheese production facility. Together they provide a high yield of milk with the right balance of richness and taste. Full of essential nutrients like calcium, iron, magnesium and potassium but also vitamins A & B. This is where our cheesemakers do their magic. Morning and evening milk is used to make each daily batch of Bluebell Falls goats cheese. Making goats cheese is a traditional natural process, with milk transferred direct from the milking parlour to the dairy each day. Besides the milk we use knowledge and skill to make our great tasting cheeses. And that is just what Breda, our cheesemaker, brings to the table. With her team she takes care of production and packaging. 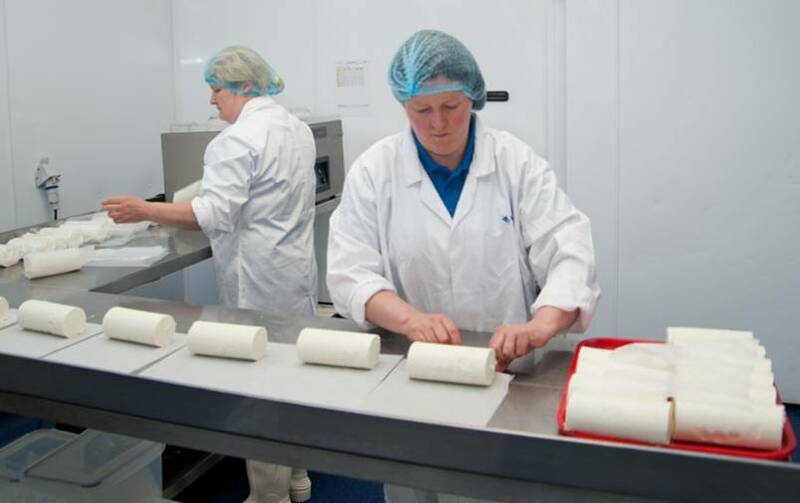 Morning and evening milk is used to make each daily batch of Bluebell Falls goats cheese. Making goats cheese is a traditional natural process, with milk transferred direct from the milking parlour to the dairy each day. The milk is chilled, pasteurised, and made into curds with vegetarian rennet. 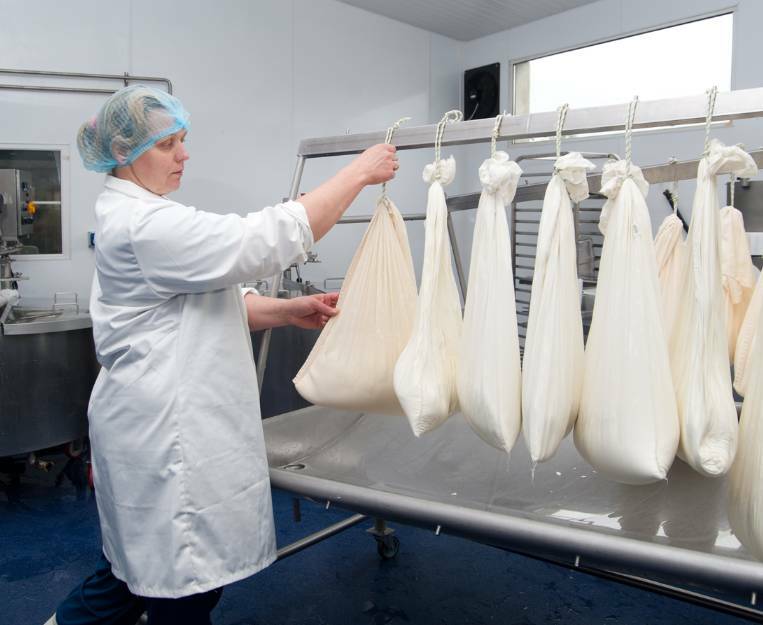 Once set, the curds are hung to strain for several hours in natural muslin bags, before the cheese is salted, rolled into a traditional log shape and hand packed. This is a young goat’s cheese, ready to eat a couple of days after making. Goats cheese is very healthy! Goats cheese is an obvious choice as it contains less than 1% salt and twice the protein and half the fat compared to cows milk. It is also a good source of calcium, protein, vitamin A, vitamin K, phosphorus. it contains less lactose and is therefor easier on the digestive system! It is low on cholesterol, so good for the heart! Over the years we have received many awards and compliments on our outstanding cheeses. Why not have a look at the selection of great tasting recipes for snacks, breakfast, lunch, starters and main courses. 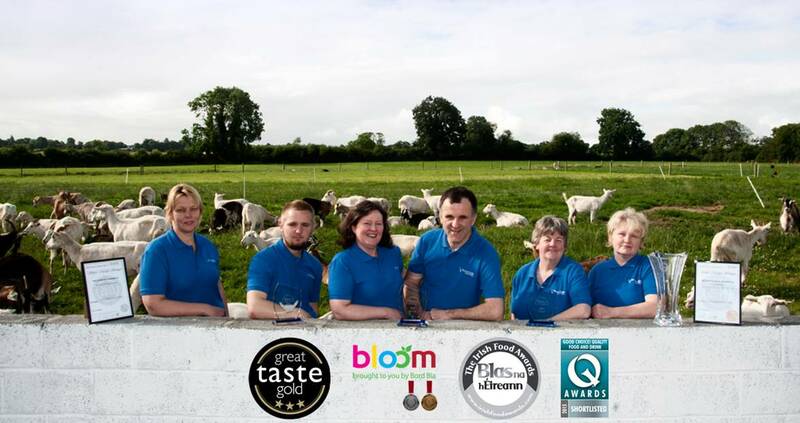 Bluebell Falls has a BRC graded production facility, quality control with full traceability of all ingredients to the highest global standards. BRC is a Global Standard for Food Safety and is designed to provide the basis for certification for food manufacturers who implement good manufacturing practices and have supporting quality management systems. 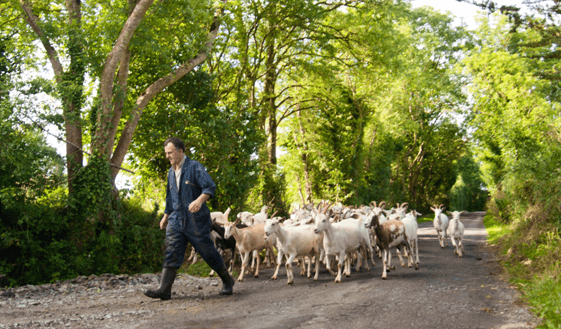 Why choose Bluebell Falls goats cheese?